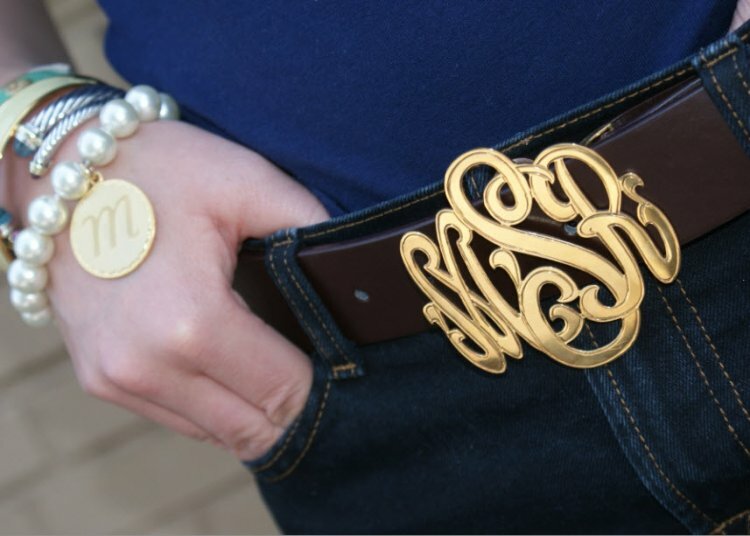 The Monogrammed Belt Buckle is exclusive to The Pink Monogram. 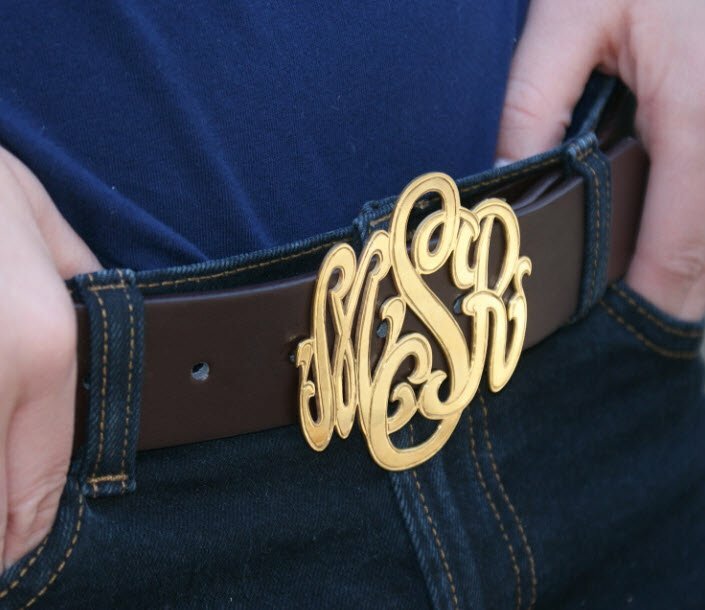 This is our hand cut monogrammed belt buckle, a show stopper! This has been a popular request and we are thrilled to now offer this product to our customers. Hand cut for solid sterling silver and plated in 14 kt gold, also available in sterling silver. 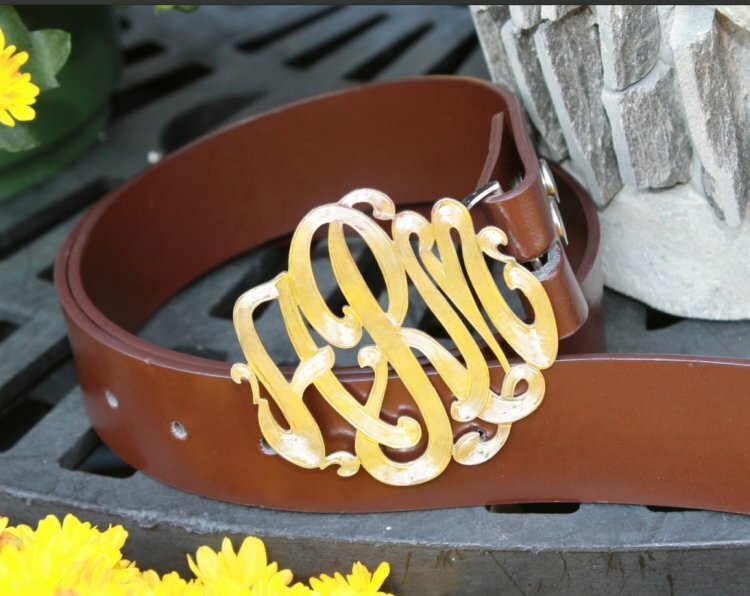 This buckle is sturdy and the perfect size. We show it on our model worn with jeans but we love it with our tunics or new dresses as a belt. 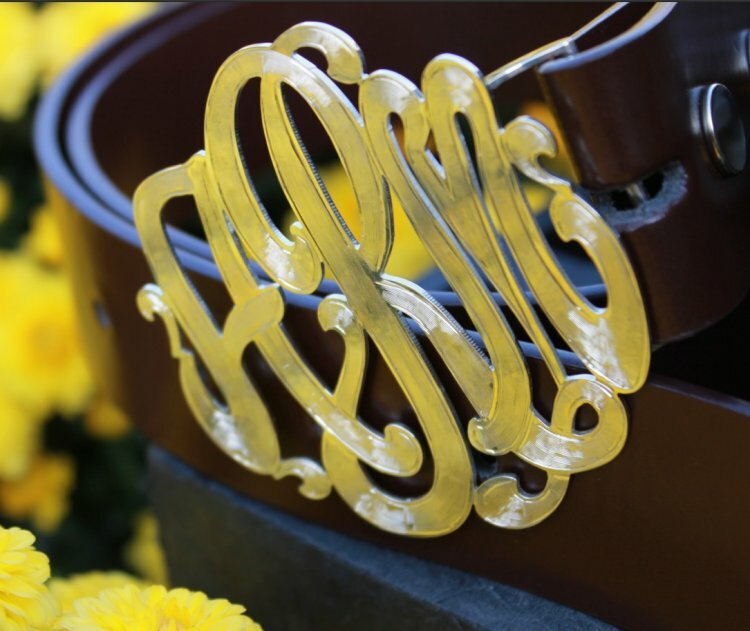 This buckle measures a large 3 by 3 inches and will vary slightly with your monogram letters. 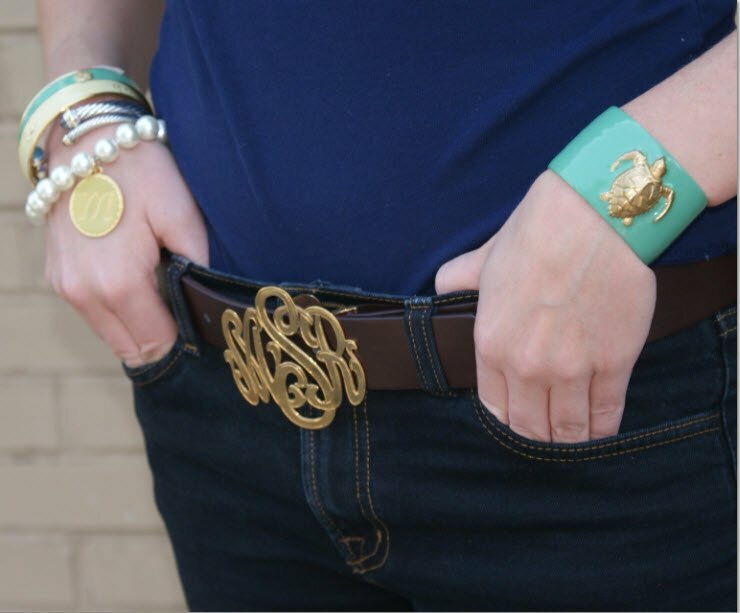 measure abut 3" by 3"
allow about 3 weeks to receive your buckle. Price: $555.00 In stock! - Browse this brandOur products are custom made to your specifications. This product ships up to 3 weeks after your order is placed. 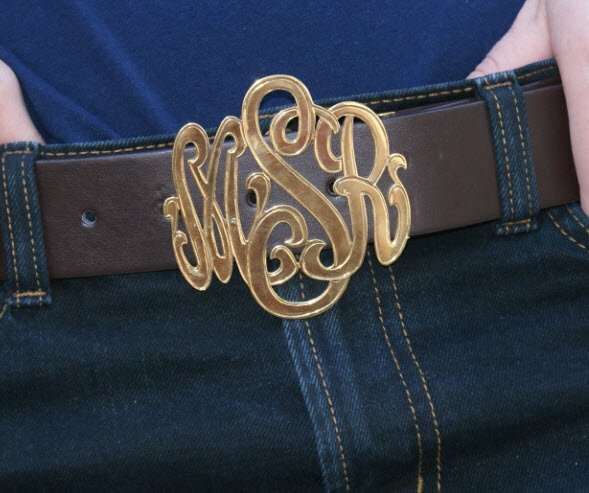 Choose either sterling silver or gold plated for you belt buckle. 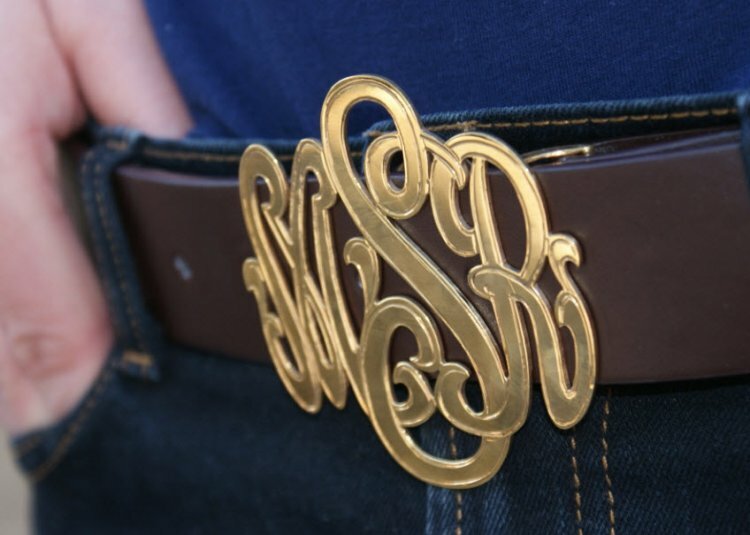 The gold plated belt buckle will have an up charge of 80 dollars. There is not an upgrade for the sterling buckle.